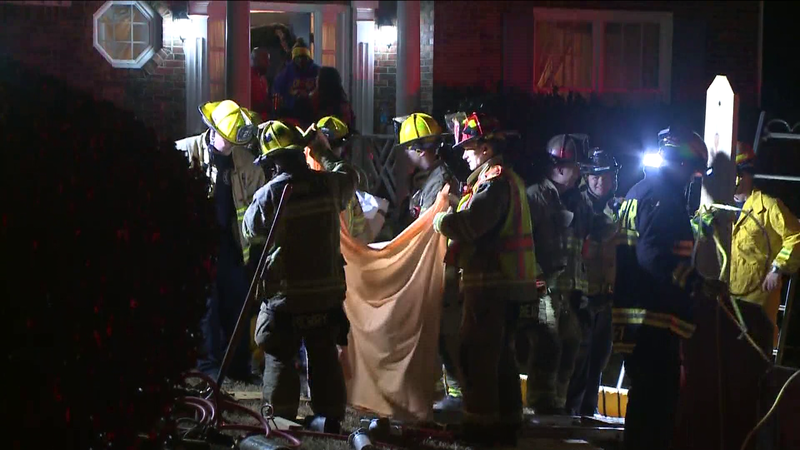 SNELLVILLE, Ga. -- Firefighters worked quickly to rescue a worker who became trapped in a Snellville trench collapse. UPDATE: Police have confirmed that a woman who went missing from Lawrenceville on New Year's Eve has been found in Calhoun. The woman is said to be in good condition and family members are headed to the location to be reunited with her. LAWRENCEVILLE - A woman with Alzheimer's disease has disappeared from Lawrenceville but police believe they know where she could be heading. Authorities in Gwinnett County said that 77-year-old Shirley Ann Cross was last seen in the 1400 block of Appian Way around 5:30 p.m.
She is described as a white female who stands at about 5 feet 3 inches tall and weighs about 130 pounds. She has gray hair and blue eyes. Police are unsure what she was wearing the last time she seen but does have glasses. LAWRENCEVILLE, Ga. -- A pizza delivery driver is credited with what may have been a life-saving move in Gwinnett County, Thursday. Gwinnett fire officials said that the man called 911 when he saw smoke pouring from a home in the 2700 block of Tribble Mill Road SE outside of Lawrenceville. But his actions didn't stop there. The driver stopped and honked his horn to alert those inside to the fire and then went up to knock on the door. He was met by a woman as she exited the home. The woman and her dog made it out safely. 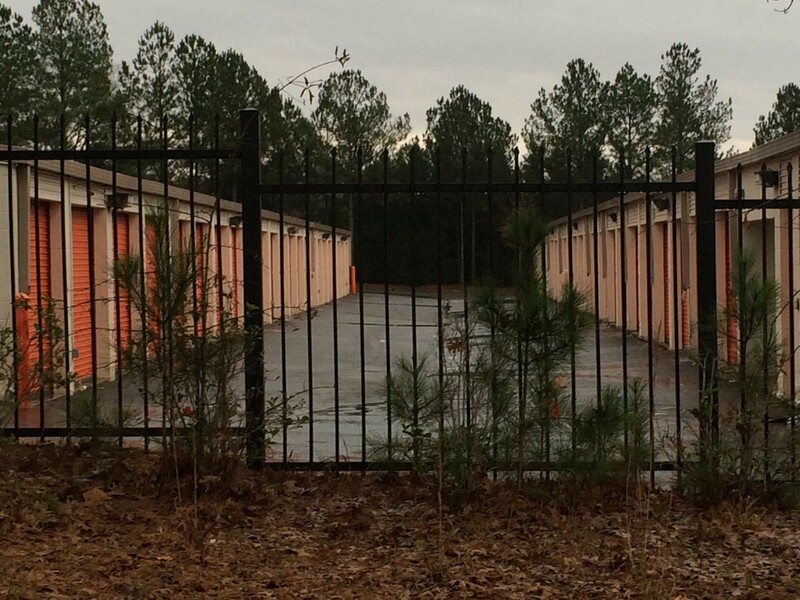 LAWRENCEVILLE, Ga. -- What happened at the Public Storage Unit on Riverside Parkway in Lawrencville started out as a normal move. An elderly woman and her children were dealing with some items when they suddenly found themselves under attack. The son fired his gun, leaving a suspect in serious condition. LAWRENCEVILLE, Ga. -- Police in Lawrenceville are investigating after a man was found dead in a car in the parking lot of an area hospital. Police discovered the man at Gwinnett Medical Center with a single gunshot wound to the head. UPDATE: Police have now named a suspect. Gwinnett County Police are actively searching for Fabiel Camacho-Pineda, 33, of Lawrenceville. Arrest warrants have been obtained for Armed Robbery. According to police, he has ties to California and the street gang Sur 13. Contact Gwinnett County Police or Crime Stoppers with any tips. LAWRENCEVILLE, Ga. -- Police are looking for a man they say snatched a purse from a woman at the Wells Fargo at the 3000 block of Lawrenceville Highway. According to a release, on Dec. 8 at around 1:00 p.m., a man entered the Wells Fargo Bank and passed a note to a teller stating he was robbing the bank and had a gun. The suspect reportedly verbally told the teller in Spanish that he had a gun and to hurry up. The teller pushed the panic alarm. Next, the suspect reportedly got spooked, snatched a woman's purse and fled the location. 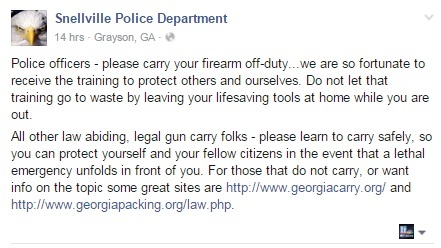 ATLANTA, Ga. -- In light of the shooting in San Bernardino, Calif., metro Atlanta is just one of many places where law enforcement officials are encouraging people licensed to carry guns to do so.